I was battling the wind lights to find one that would work to showcase this scene. It’s never easy. 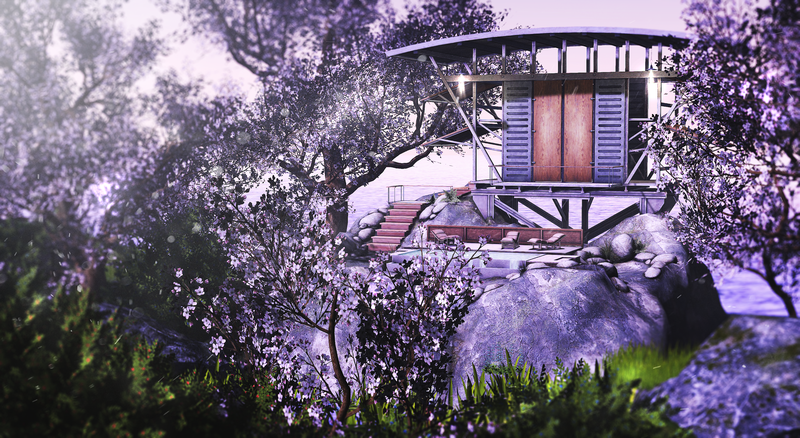 I finally settled on two and the second features the products a bit more realistic than the first, so I’m including it as well. 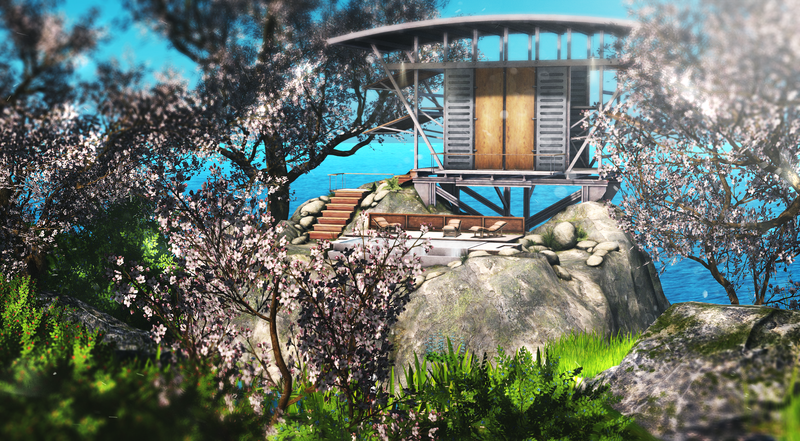 The ancient cherry trees and island shack along with the loungers are at this month’s round of FaMESHed — as always details below.